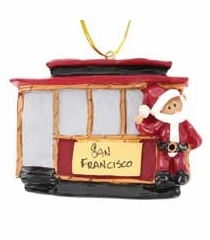 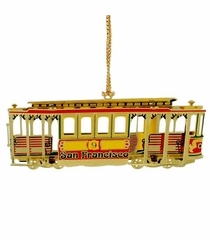 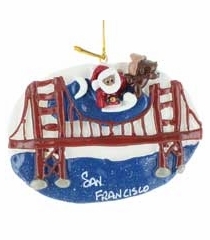 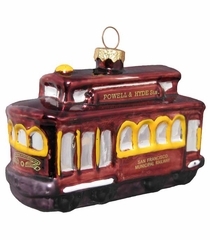 Straight from the official Cable Car Store on Pier 39 in San Francisco, our best selling San Francisco ornaments include iconic City on the Bay designs including Santa on the Golden Gate Bridge, the beloved Cable Car, Santa escapes from Alcatraz, Pier 39 sea lions and the beautiful San Francisco skyline. 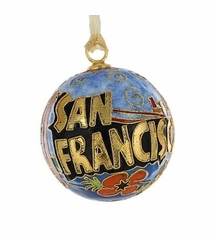 Lots of styles including painted glass ornaments, ceramic ornaments, brass ornaments and collage baseball ornaments. 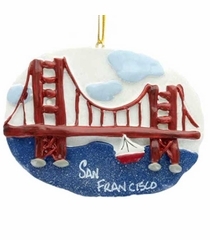 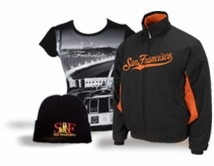 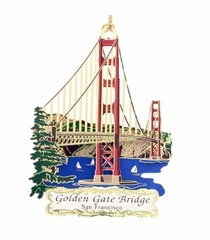 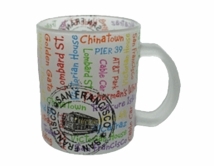 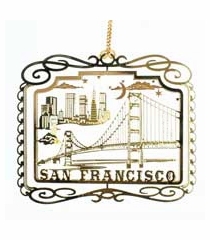 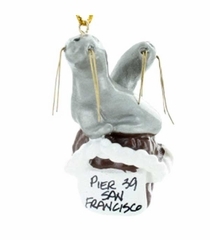 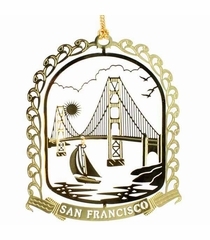 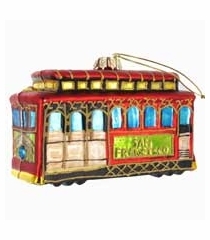 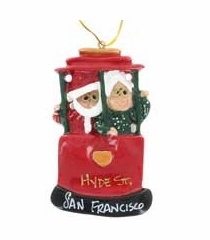 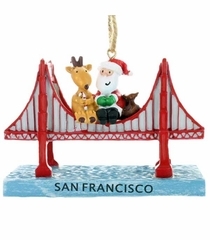 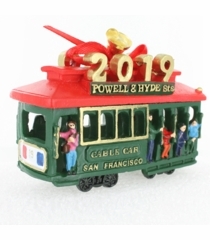 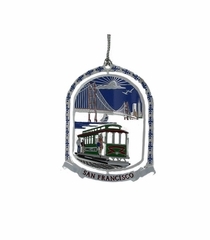 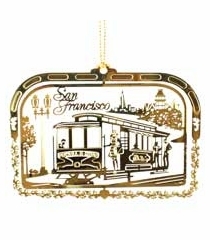 San Francisco ornaments are perfect for holiday gifts, Christmas tree decorating, corporate giveaways, party favors and collectors. 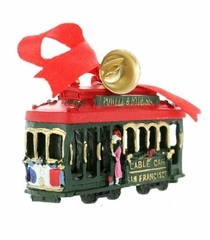 San Francisco Colorful Brass Cable Car Ornament.